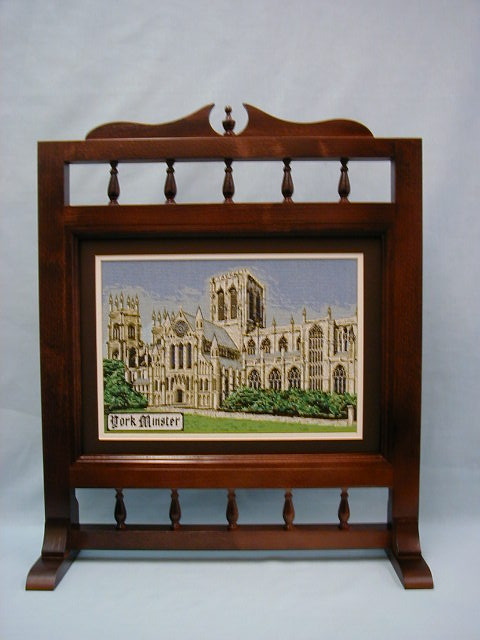 The Minster firescreen is available in natural oak, medium brown oak and dark red mahogany finishes. It is supplied complete with an easily removable veneered back panel and features elegant gallery rails to the top and bottom. These prices are inclusive of VAT @ 20% and UK mainland delivery.